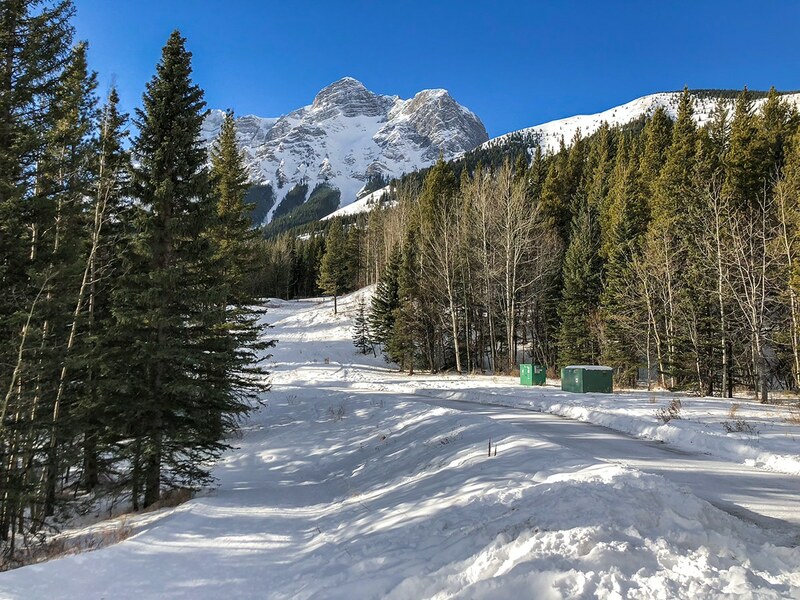 We love to ski at Ribbon Creek when conditions are good. 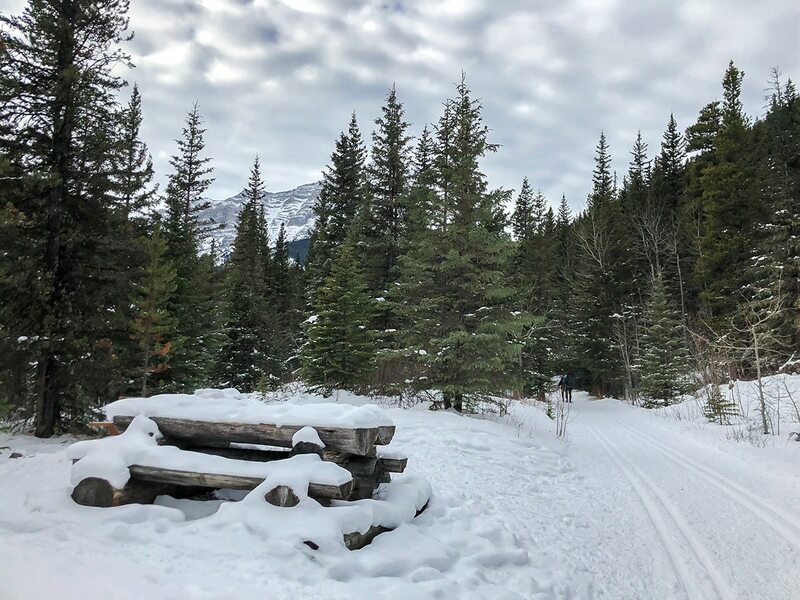 This is some of the closest cross-country skiing to Calgary, and the trails are fun and usually kept in good condition. 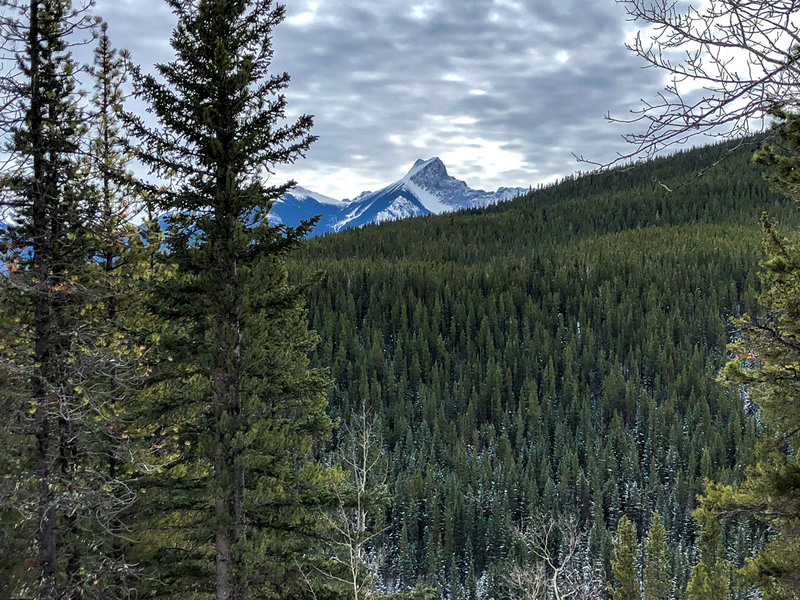 From Highway 40, take the turnoff for Kananaskis Village / Nakiska. Go up Mt Allan Drive and take the first left onto Centennial Drive. 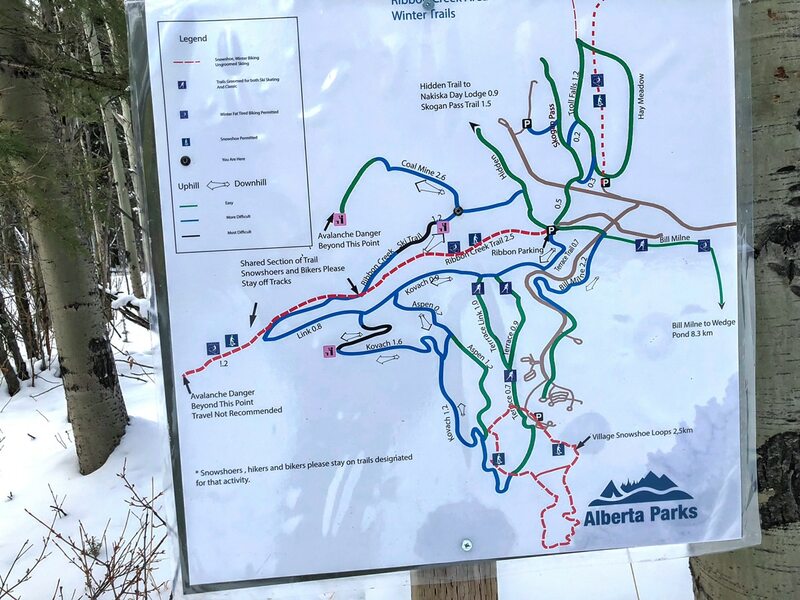 Take your next right onto Ribbon Creek Road and park in the 2nd parking lot by Ribbon Creek. 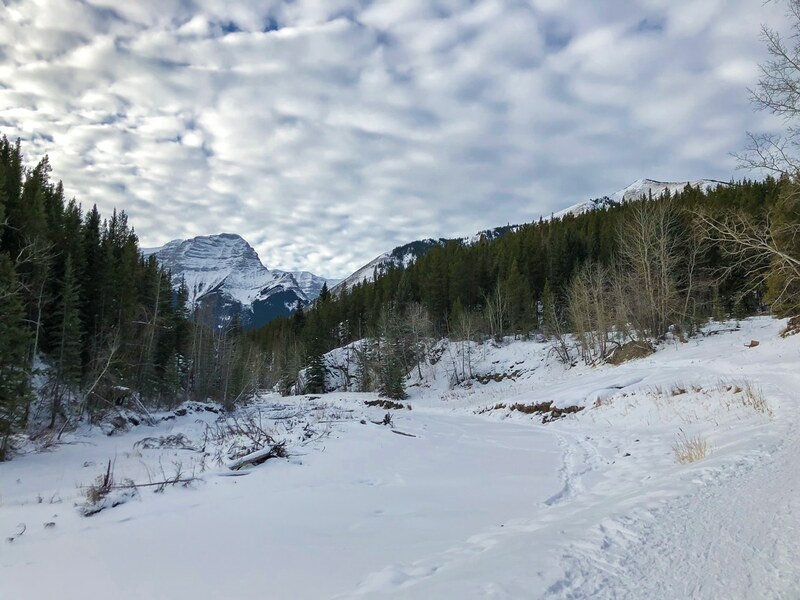 Cross-country skiing at Ribbon Creek is a fun, lively trail, and is one of our favourites, but only in good snow conditions. 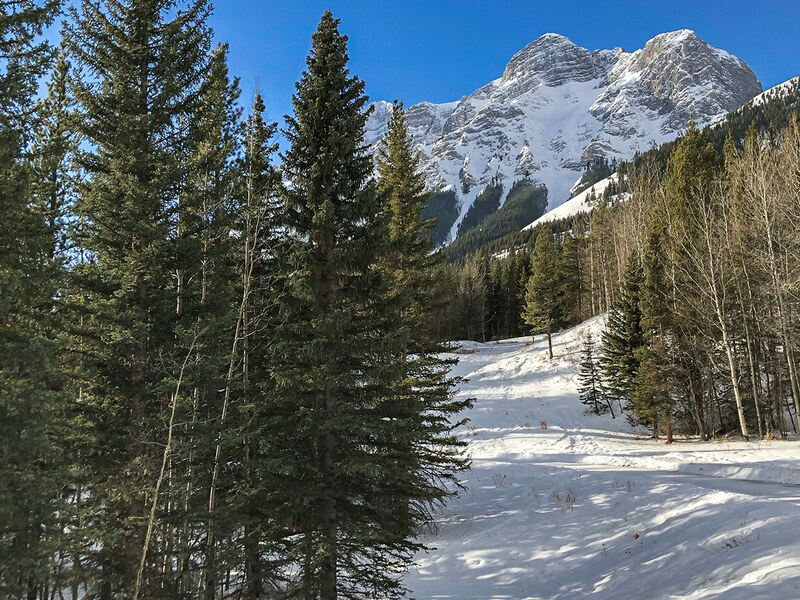 If there hasn’t been much snow it can get icy and hard, so make sure you choose a trip when there has been recent snow and grooming. 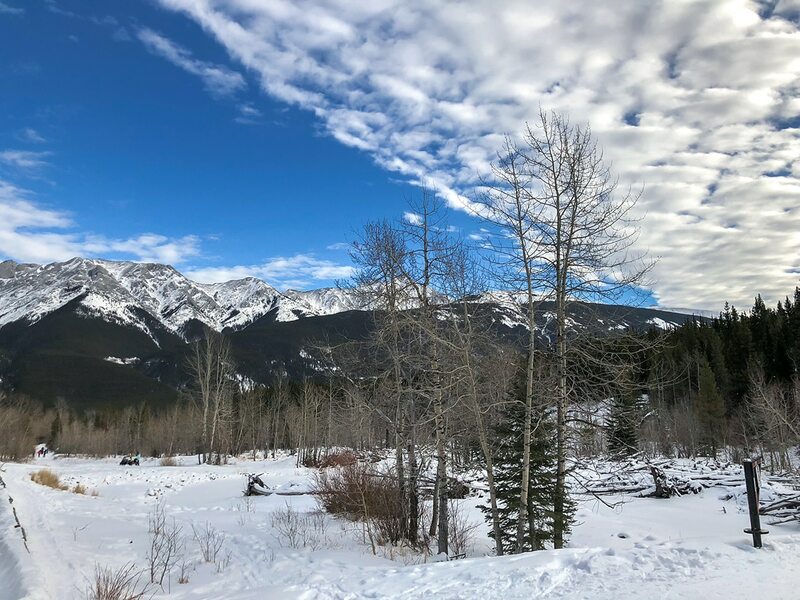 There are a series of trails accessible from the Ribbon Creek Day Use Area as well as from Kananaskis Village. 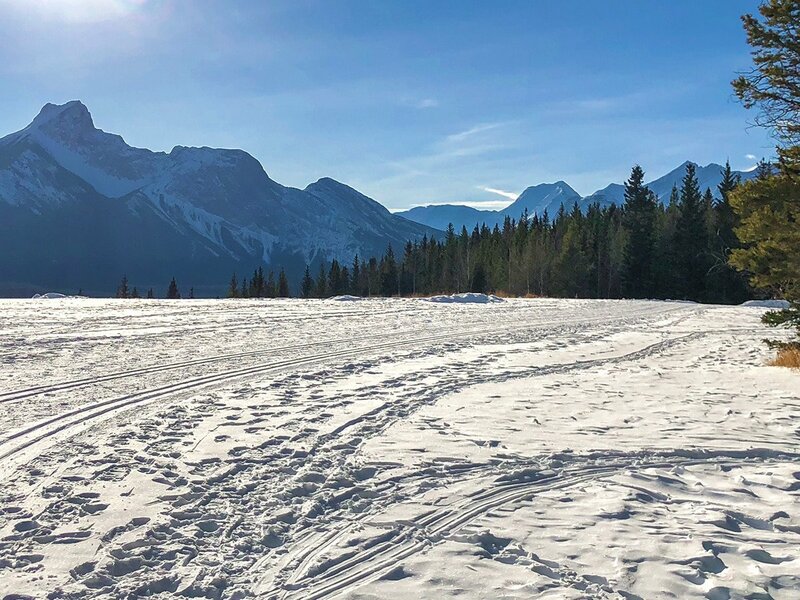 So, if you’re staying at the new Pomeroy Kananaskis Mountain Lodge you can access these ski trails without getting in your car! 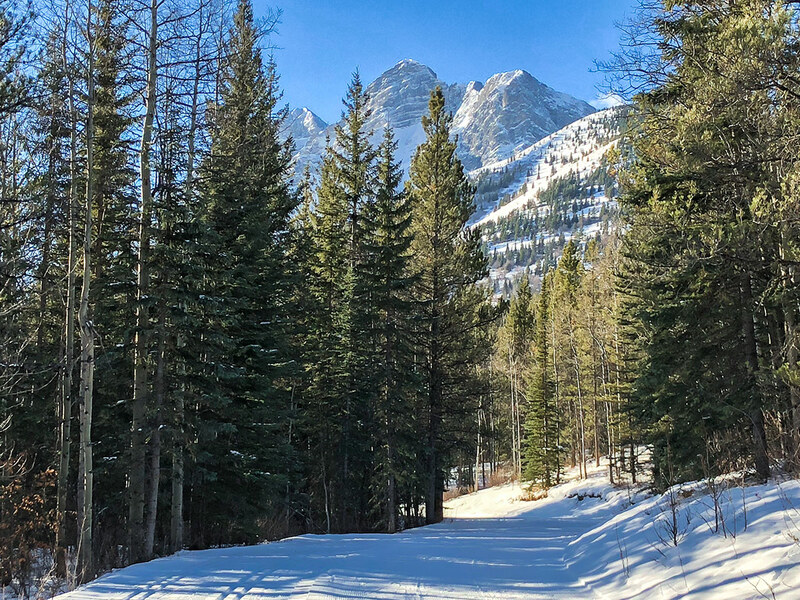 From the Ribbon Creek parking lot, we like to head out to the left on the Terrace North trail. This is a nice green trail which ascends mostly to start, great for a cold morning and getting the body warm. 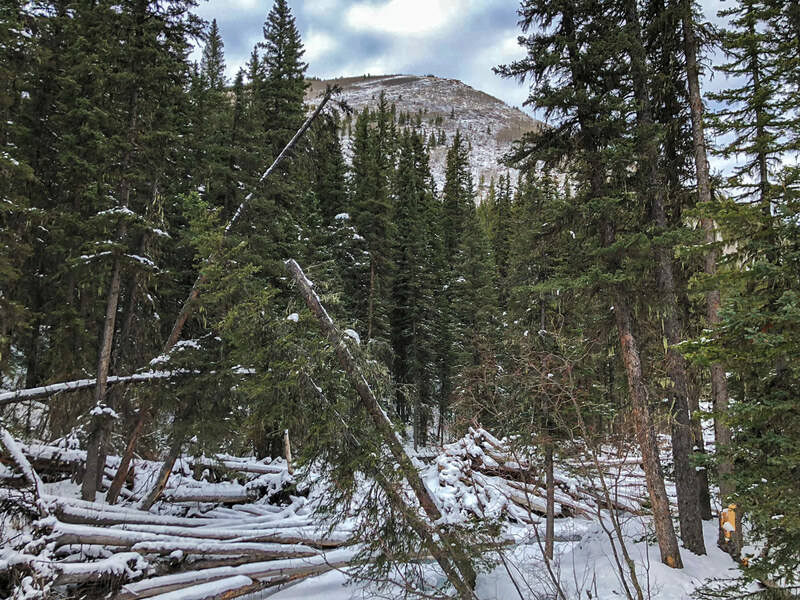 The terrace trail heads roughly south, and in roughly 1.8km passes by the rear parking of Mt Kidd Manor, near Woody’s Pub and Patio. 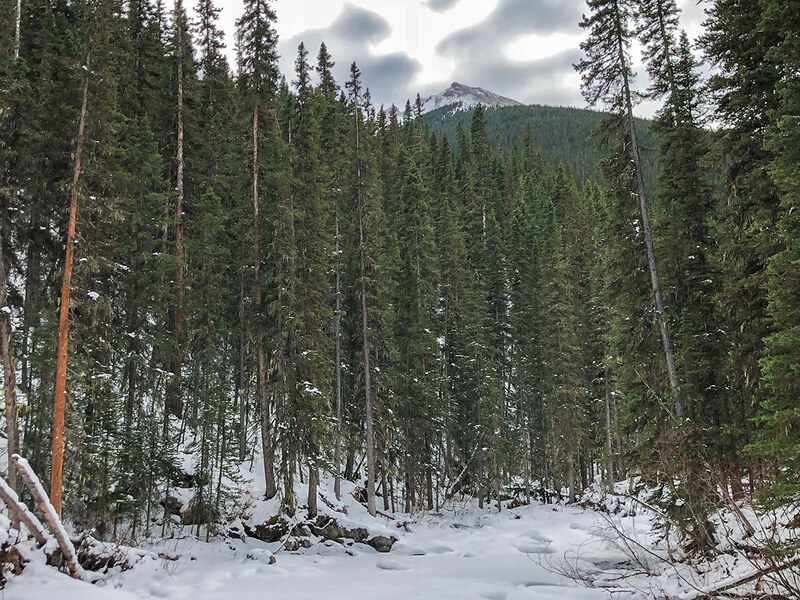 After this area, the trail descends and then the trail changes into the Kovach cross-country ski trail, which is a blue trail. Here also marks the start of a long ascent. As the trail splits, we like to stay on Kovach and always take the trail on the left, as this keeps us on the longest circuit here. You’ll ascend for roughly 3.0km, the last 500m being a fairly steep ascent. The highest point is reached roughly 6.0km from leaving the car. Almost immediately the descent starts, and it is steep. 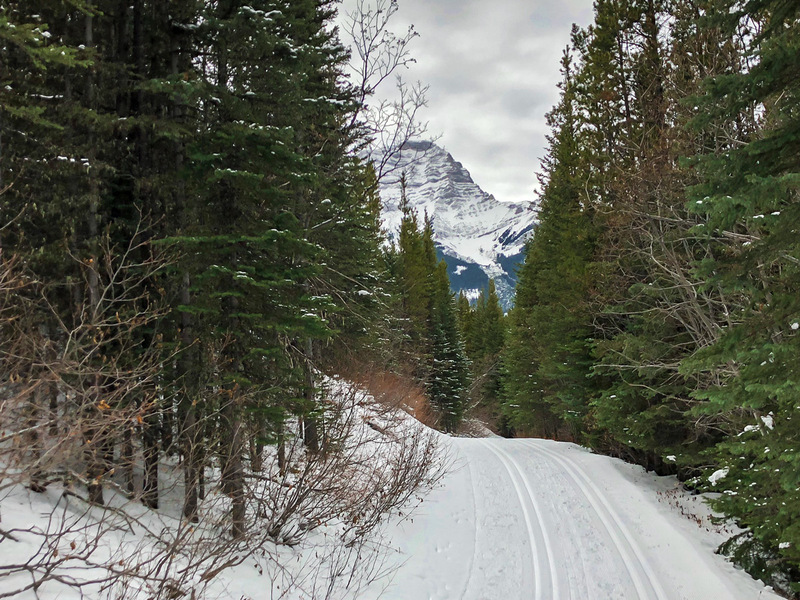 This is a fun descent for stronger intermediate cross-country skiers in good conditions. This is a nightmare in icy, hard conditions or for novices, as the trail loses 80m in about 500m. 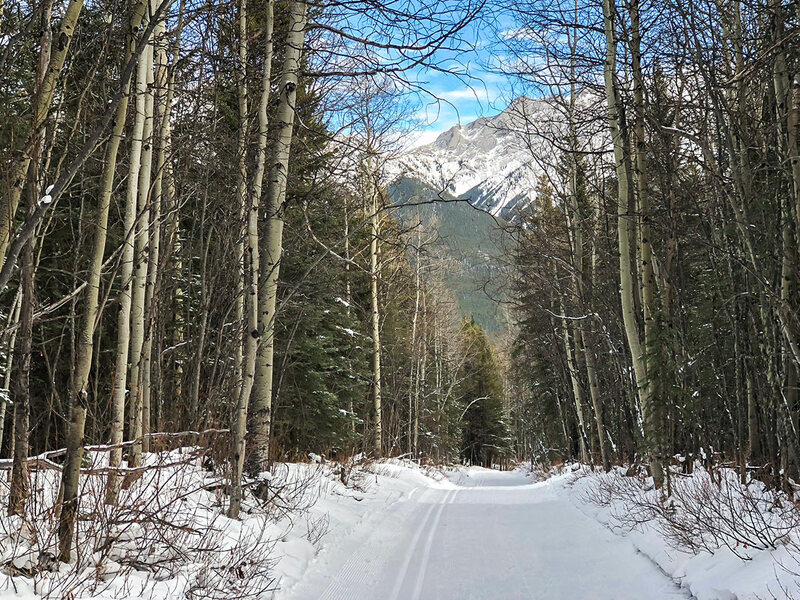 At roughly 7.5km you cross Ribbon Creek, and the trail turns into the Ribbon Trail ski trail. The route continues to descend, with beautiful views in the forest. Part way down there is a turnoff on your left to the Coal Mine Trail. This is a fun, but steep trail with very nice views at the top. 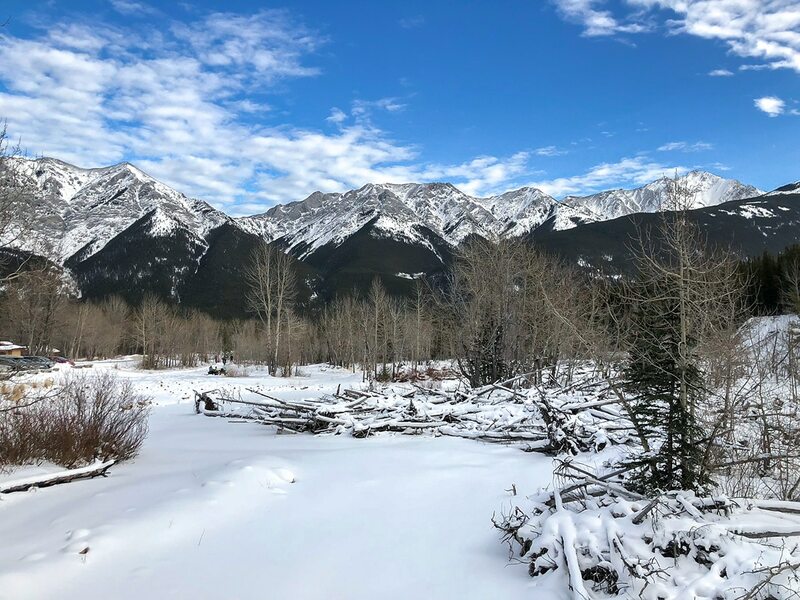 It seems to be popular with snowshoers who go for the fine views back of the Kananaskis Valley. Our map doesn’t show this route. Eventually you come to a junction with a crossing trail. Go right here and back to the parking lot. 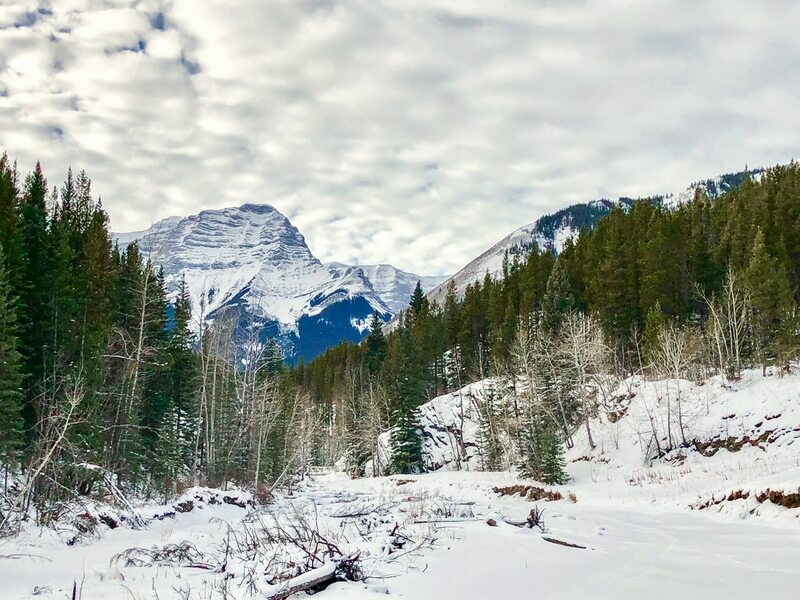 The new Pomeroy Kananaskis Mountain Lodge or the Mt Kidd Manor are great options for weekend getaway. The kid’s activities when staying there are incredible, and make for a very fun stay. 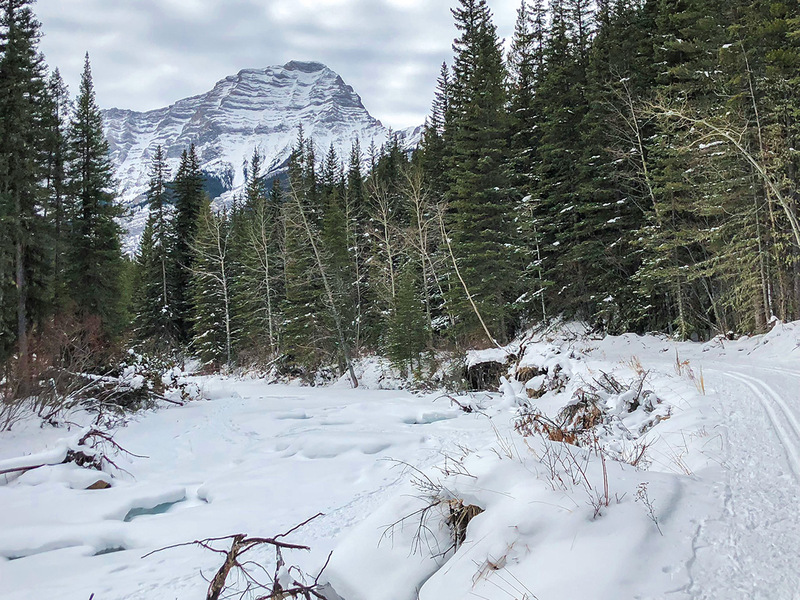 You could combine this ski with a hike to nearby Troll Falls, a fun family outing. We have had a great meal (and drinks) at the Blacktail Bar.